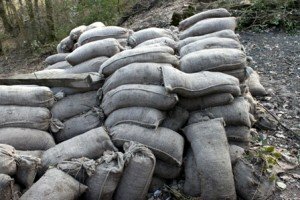 To sandbag your Christmas party guests is to unexpectedly thrust your guests into a socially awkward or highly uncomfortable situation where they are unable to escape, metaphorically speaking. The offer: We were offered two free park tickets if we attended a continental breakfast. The hidden agenda: We had to endure a 3 hour presentation on timeshares. We couldn’t leave. The result: Highly frustrated sales people, angry customers, and us feeling trapped and victimized. 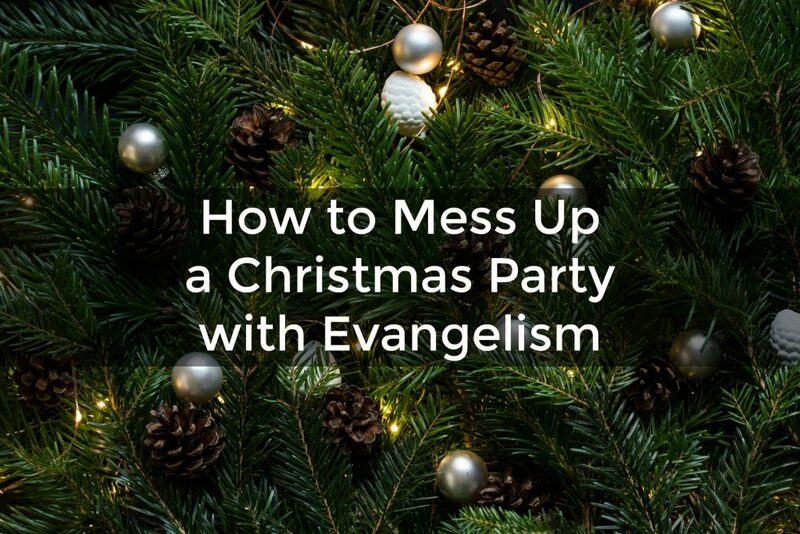 Some Christians plan Christmas parties with a hidden agenda. They invite their friends and neighbors and then sandbag their guests with an unexpected lecture on Jesus. The food and friendship is all going well. People are relating and connecting. Then the host gathers people into a room and starts to lecture them on the need for Jesus. It’s out of the blue and unexpected. Is there a better way to do evangelism at a Christmas party? This sets an expectation in the mind of your Christmas party guest that there will be some no-pressure faith sharing happening. You might have some ice-breakers that touch on spiritual themes (next post). You might have people share meaningful Christmas traditions. You might share one short aspect of your testimony when you have the group’s attention (after all, you said you would in your Christmas party invitations). Invite those who want to know more to talk with you one on one after your presentation as the party resumes. This low key approach still accomplishes some evangelistic activity of sharing some of the gospel and some of your personal testimony. The key is that it was expected at the Christmas party because you mentioned it in your invitation. Do you need church Christmas Party Game Ideas? Read my review of a resource of Christmas party games, some of which have spiritual conversation starters. We call it the “Bait n Switch.” In fact, today on of our youth pastors expressed his distaste for youth events (like a dodge ball tournament) where at some point, you stop the action for a sermon and call to faith. It’s like we’re tricking people into hearing a sermon. Great post! Awful suggestions. Why should you be ashamed or scared to tell someone about Christ? Where are you going to scare them off to – Hell #1 or Hell #2? It may be the only opportunity you have to tell them about Christ, yet you may be afraid they’d be offended? And for the other commenter, why else would your church have a “dodge ball” tournament if it’s for nothing other than fun and games? God commissioned the church to go into the world preaching the gospel, not to go into the world playing games. They can do that the YMCA. HMMMM, I think you miss the point of the post. We are not saying don’t share the gospel. In fact there is nothing in the post about NOT telling your friends. But to hide the hidden agenda of your Christmas party shows too much disrespect for your guests. To sandbag them with a hidden agenda puts them on the defensive – rather than a willing participant in your conversation. They likely won’t return to future events you host because they’d be suspicious of any reason you want to host them. However, letting them know ahead of time earns their respect because it removes the hidden agenda. You earn the right to be heard. Respect keeps the door open for further conversation as needed. I don’t believe in unnecessary offense through hidden agenda. Even if there is talk during a youth event, the invited guests should know ahead of time there will be a talk about faith ahead of time. No one likes to be deceived or feel like a project. . .